Sophisticated yet rugged, the Black Wood Handle Boot Knife is suitable for modern day utility and self defense use as well as for adding to a traditional and historical looks. 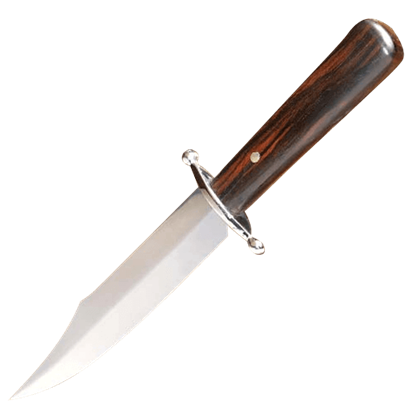 The dagger-style blade is made of stainless steel. A mountain man knows that you never go anywhere without a knife. 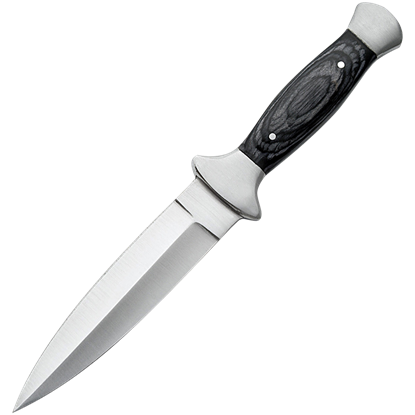 This Bowie Boot Knife is a blade that can be easily concealed in your boot or at your belt, ensuring that you can follow that pearl of old-world wisdom with ease. For fast, reliable protection whenever you need it, this United Cutlery boot knife offers excellent concealment and strength in one small package. Youll be prepared for almost anything with this black AUS8 stainless steel blade. Created to be highly functional and reliable, the Counter TAC II AUS 8A Stainless Steel Knife is built to get the job done under any circumstance. The full tang blade provides added strength to the construction of the survival knife. Designed for reliable functionality, the Counter TAC I AUS 8A Stainless Steel Knife excels in performance, no matter the occasion. 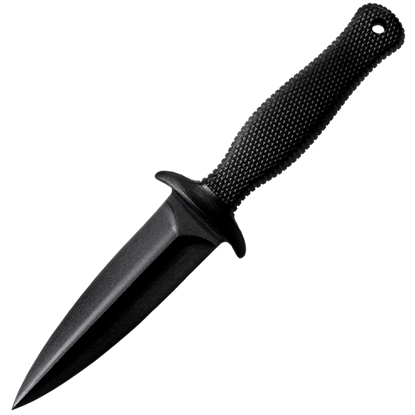 This durable, full tang boot knife is a powerful tool to have on hand in any survival situation. Designed for concealed carry, the Drop Forged Boot Knife features a double edged spear point blade with a satin finish. 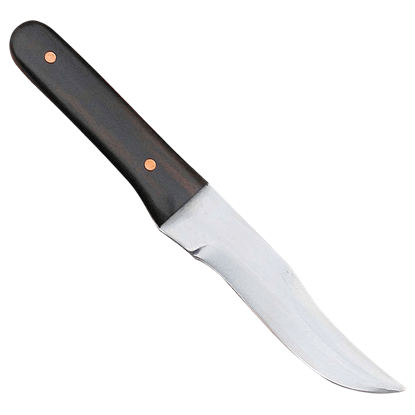 Constructed from a singular piece of high carbon steel, this knife has tremendous strength and piercing power. 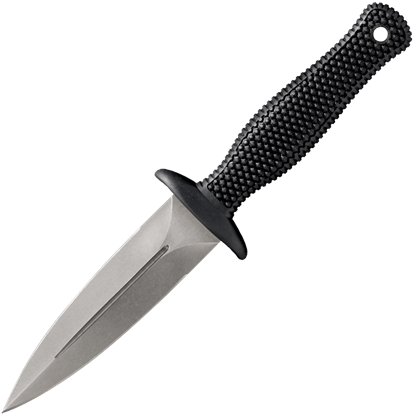 Black as a moonless night, silent as the grave, and totally undetectable - these are the qualities that make up the FGX Boot Blade I Boot Knife. This self-defense weapon is made of sturdy Griv-Ex, a fiberglass-reinforced plastic. The FGX Boot Blade II Boot Knife is black as a moonless night, silent as the grave, and totally undetectable, thanks to its covert construction. 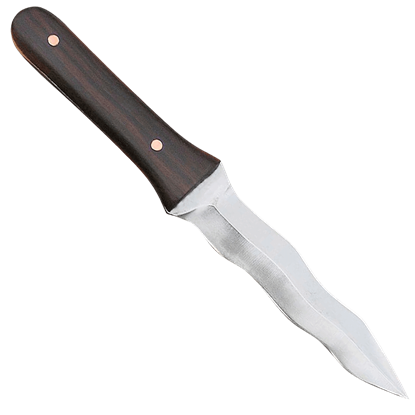 Made of fiberglass-reinforced Griv-Ex, this self-defense blade is ready to protect. Boot Knives are sized right for wearing exposed in ones sock, as in Scottish attire, and designed to be worn discreetly in or attached to a boot. Each boot knife boasts a carbon steel, hand forged, fixed blade with an ebony wood handle. 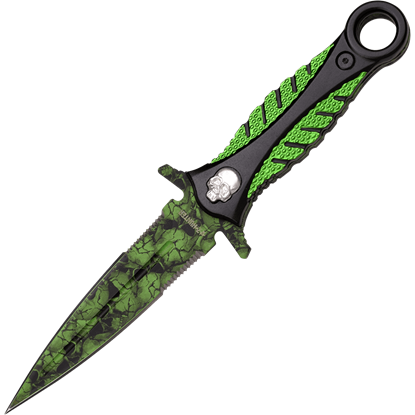 Blending aesthetic appeal and functionality, the Green Skull Camo Boot Knife features a lightweight fixed blade design which is well-suited for wearing on a belt or on the ankle and is perfect for self-defense purposes. Boot Knives are sized for wearing exposed in ones sock, as in Scottish attire, and designed to be worn discreetly in or attached to a boot. Each kris boot knife boasts a carbon steel, hand forged, fixed blade with an ebony wood handle.